Everyone knows that chiropractic treatment helps to align the joints, but did you know that chiropractic treatment done right will free the nervous system, synchronizing the innate healing function of the entire body? Chiropractic uses spinal manipulation to correct slight misalignments of the spine—called subluxations—restoring proper function to the muscles, organs, and nervous system. The importance of the nervous system to good health cannot be overstated. Its complex network controls every part of the body. Most of the nerves in the human body can be traced back to the spinal column. This is what makes spinal alignment so important. Misalignments of the spine can cause poor health or function, even in areas far removed from the spine itself. 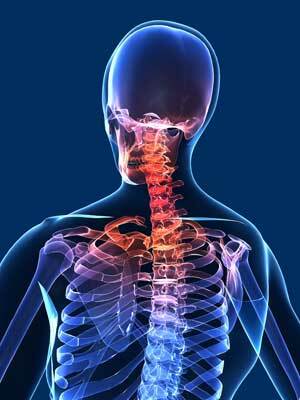 Chiropractic care restores mobility, alleviates pain and muscle tightness, and allows inflamed tissues to heal. Chiropractic adjustments need not be abrupt and forceful and are not painful, as some may imagine. A soft approach is best for some, while a firm approach is comfortable for others. In any case, most patients feel relief immediately following treatment. Your adjustments will be made on a comfortable adjustment table made specifically for this purpose. You will remain fully clothed so we recommend wearing non-restrictive clothing to make it easier to rest comfortably while lying on the table. Some adjustment may be performed while you are face down, while others may be delivered while you are either on your side, sitting upright or lying on your back.